I love the light brown strips which surround the this jacket. Else, the quality is worth admiring, coupled with fast delivery. The comfort is good. This is the first shearling jacket which fit on me that well. I am happy with my decision to purchase from here. This Resident Evil Leon jacket represents that same thrill as in the movie. 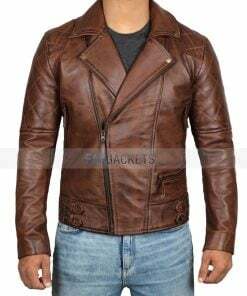 This Re4 Leon Jacket can be a new addition to your winter collection. 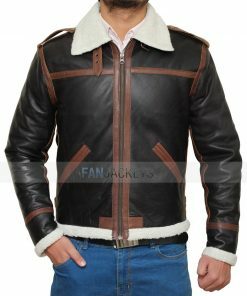 It’s the bomber shearling jacket which is made from Synthetic leather and has a slim fitting which you will adore it for sure. Inside of this Resident Evil 4 Leon Jacket contains Faux Shearling, which is one the reason why this apparel will keep you warm.